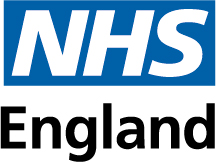 Improving the quality and safety of acute emergency — adult and paediatric — and maternity services was identified as one of the NHS in London’s key priorities for 2012/13 and has remained as such through transition to NHS England, and as a national priority for Domain 1 – Preventing people from dying prematurely. Most notably, the priority was to address the variation that existed in service arrangements and patient outcomes between hospitals and within hospitals, between weekdays and weekends. Data shows that patients admitted as an emergency at the weekend have a significantly increased risk of dying compared to those admitted on a weekday. This suggested a minimum of 500 lives could be saved every year. Clinical expert and patient panels developed evidence-based quality standards for acute medicine and emergency general surgery services which were commissioned from April 2012 and all acute hospitals were audited against their compliance with these standards between May 2012 and January 2013. In parallel to the audit process, quality standards were developed for the wider adult acute emergency pathway (emergency departments, critical care and the fractured neck of femur pathway), paediatric emergency services (medicine and surgery) and maternity services (labour, birth and immediate post-natal care) to address the variations found in service arrangements and patient outcomes. Following endorsement from the London Clinical Senate and the London Clinical Commissioning Council, the cases for change and London quality standards for acute emergency and maternity services were published in February 2013. The standards represent the minimum quality of care that patients attending an emergency department or who are admitted as an emergency should expect to receive in every acute hospital in London. Similarly, the maternity services quality standards represent the minimum quality of care women who give birth should expect to receive in every unit in London, where applicable. Reviewing the evidence-base and the development of clinical standards to address the issues found, is the same approach taken by Professor Sir Bruce Keogh’s Seven Day Services Forum. The London quality standards are congruent with the national clinical standards which were published in December 2013. To support London’s Clinical Commissioning Groups in planning for and implementation of the London quality standards for acute emergency and maternity services from April 2014, London’s providers of acute emergency and maternity services self-assessed their progress towards meeting the London quality standards for these services. Additionally, the self-assessment enabled further detail to be provided on action taken on implementation of the standards for acute medicine and emergency general surgery that were commissioned from April 2012 and formally audited throughout 2012/13. It is important to note that the 2013 self-assessment differed in process to the full 2012/13 audit of acute hospitals in London. The 2013 self-assessment did not involve an audit of patient notes or the second peer-review stage hospital site visit by an audit team. Results from the self-assessments highlight progress by London’s providers of acute emergency and maternity services towards meeting the London quality standards, as well as the need to continue on the journey of improvement to ensure acute emergency and maternity services become consistently safe and high quality, across all seven days of the week. Homerton University Hospital on access to and provision of emergency theatre. The presentations highlighted the learning, good practice and improvement processes used to make progress towards meeting the quality standards and this was followed by an opportunity for workshop attendees to discuss good practice and improvement processes used to further progress meeting the standards. key learning, improvement steps undertaken and challenges encountered. The Good Practice Guide aims to provide a tool to support London’s commissioners and acute hospitals in the ongoing implementation of the London quality standards. Pan-London Findings report – Summarises the overall findings of progress towards meeting the London quality standards across acute hospitals in London.